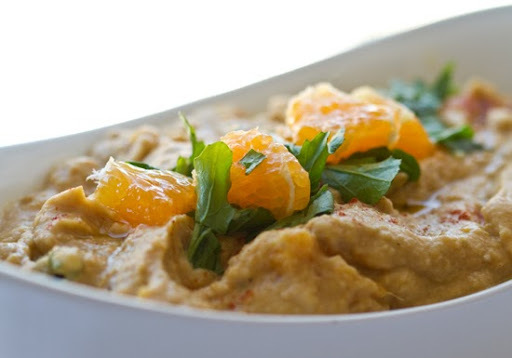 Zesty Citrus Butternut Squash Dip! 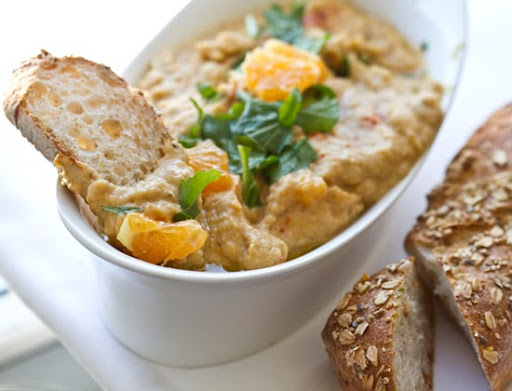 My Zesty Citrus Butternut Squash Dip is a totally dippable, scoopable, dip-licious way to embrace fall..
Also excited to see my Butternut Squash Sage Dip recipe in ThinkFood Cookbook. And don't forget to check out my DIP App: Dip Diva.. 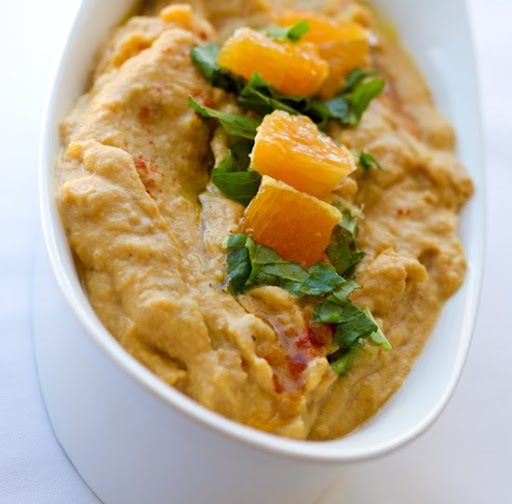 The result: Bold Butternut Citrus Dip with Arugula. 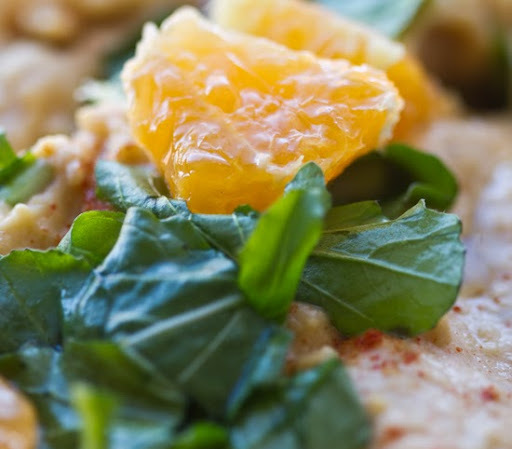 This dip has bold splashes of citrus flavor with a hint of crunchy fresh arugula and maple syrup blended in. 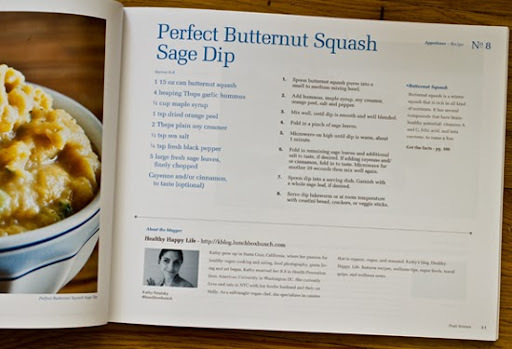 And just like last year's recipe - this one is super duper fast and easy. You can whip it up in under 5 minutes! 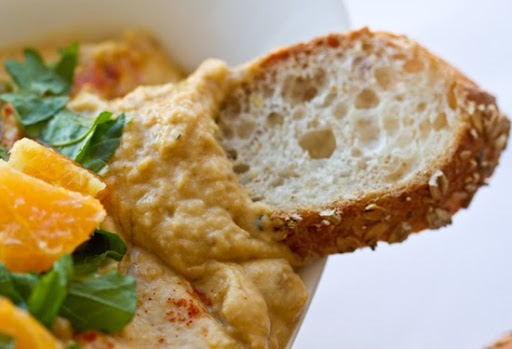 Comparing my Butternut Squash Dip Recipes: The ingredients are similar, but the flavors are quite contrasting. 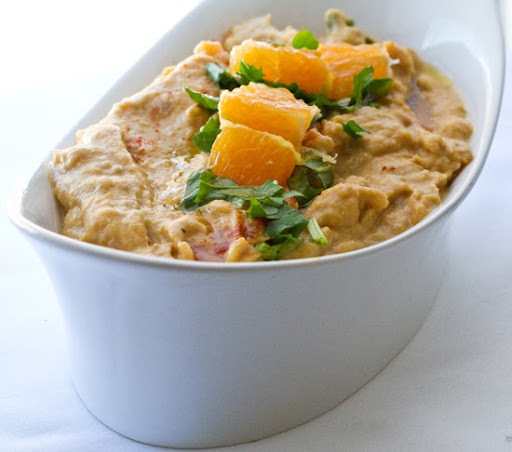 Today's recipe is bold and has a candied citrus flavor mixed with the ultra-creamy white bean hummus. 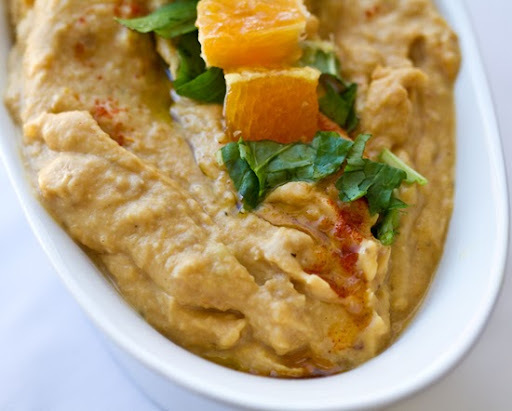 While in contrast, the sage-accented dip recipe is more earthy and rustic - less sweet and a tad thicker in texture. I love both. 1. Process your dip ingredients - until smooth. 2. Taste test - adjust as desired. 3. Finely chop your arugula. Fold it into the mixture - leave out a few bits for garnish. 5. 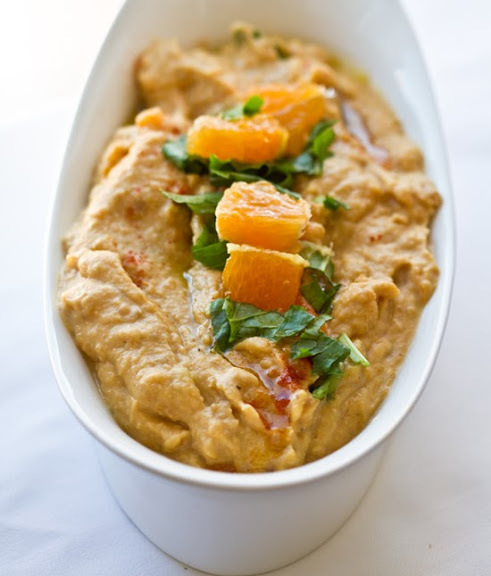 Garnish dip with arugula, orange, dash of cayenne and a slight drizzle of good olive oil. Serve warm with bread slices for dipping.